exhibit aimed at driving customer leads. 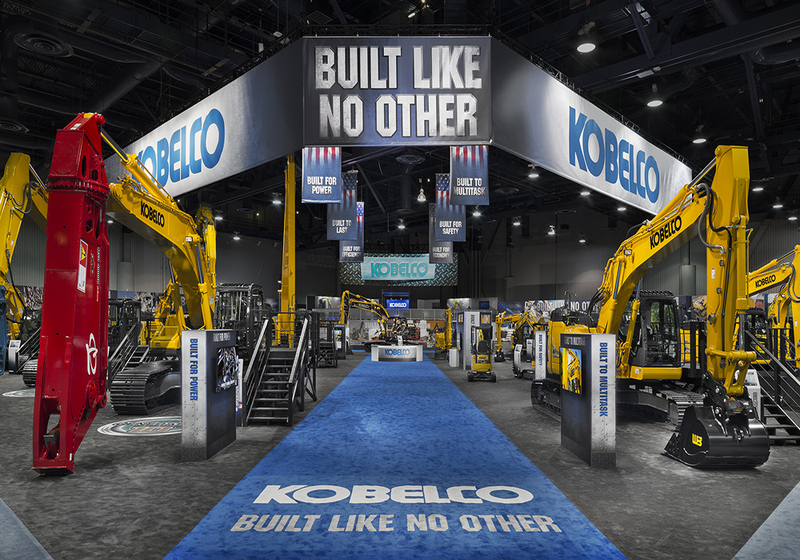 For Kobelco’s inclusion in the construction industry trade show, nParallel created a massive indoor exhibit aimed at driving customer leads and revenue. InQuest Marketing selected nParallel to define the trade show concept for their client Kobelco. nParallel designed the exhibit space and delivered all elements for the international construction industry trade show ConExpo. InQuest Marketing chose nParallel because of our commitment and experience in collaborating and delivering successful trade show exhibit solutions. 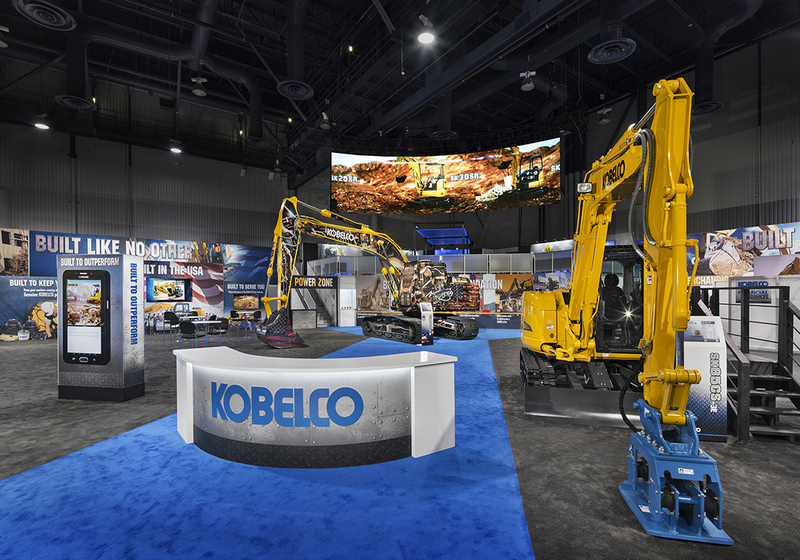 Kobelco’s goal was to continue positioning the company as a leader in the commercial construction industry by exhibiting at ConExpo through a large-scale indoor exhibit. This was their first indoor exhibit since reentering the market in 2014, and nParallel was certain to ensure their 165’ x 165’ exhibit would make the impact they hoped for. The exhibit included endless machinery, compelling graphics, a curved 40’ hi resolution LED screen, interactive kiosks, a second story lounge with a bar, three conference rooms, a retail store and a trade show booth press event. Because of nParallel’s expertise and efforts to ensure their business goals were being achieved, traffic flow to the booth was high throughout the entire event and was one of Kobelco’s most successful shows. The exhibit nParallel concepted and fabricated has and will be used for years, as it increased brand awareness, strengthened relationships and yielded both customer leads and revenue.